Ronchini Gallery is proud to present Calder & Melotti: Children of the Sky, in collaboration with Museo Carandente Palazzo Collicola, Spoleto, Italy, curated by Director Gianluca Marziani. 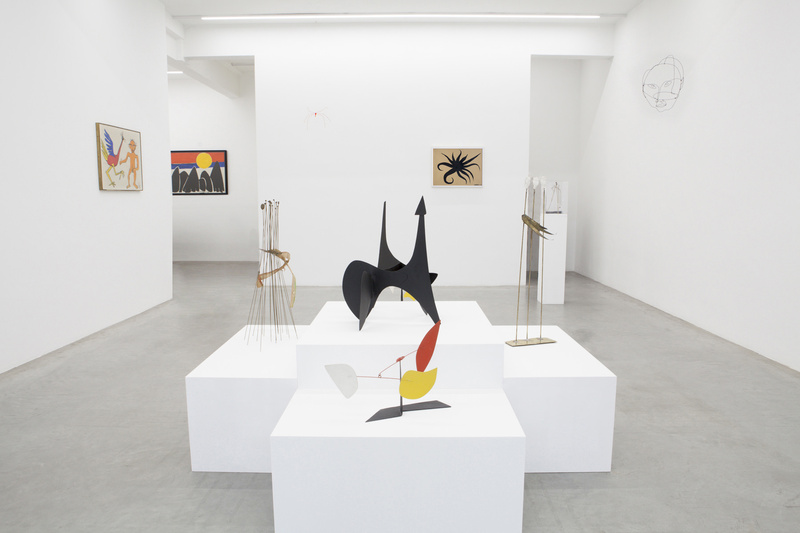 The exhibition features works by American artist Alexander Calder (1898-1976) and his Italian contemporary, Fausto Melotti (1901-1986). It tells the stories of two artists who took inspiration from the city of Spoleto and Italian cultural life in the post-War period. 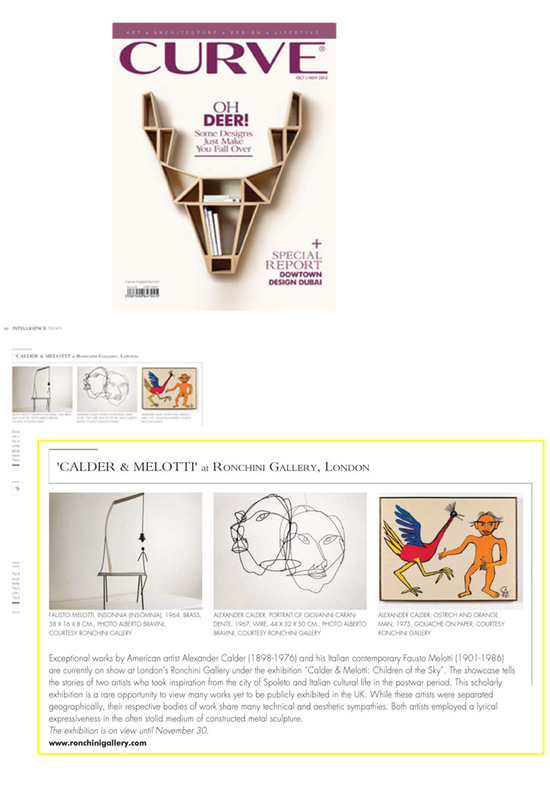 All works and images of Alexander Calder © 2013 Calder Foundation, New York / DACS London.